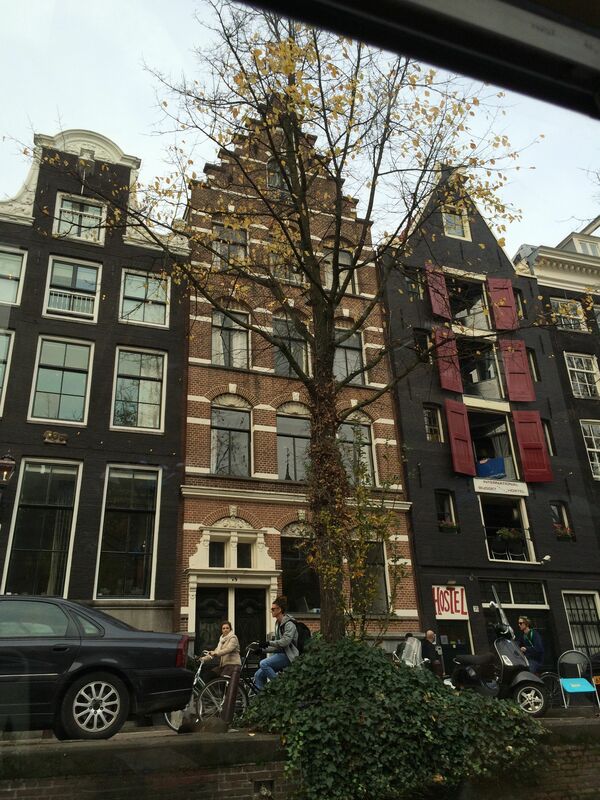 In Amsterdam, we visited the Anne Frank House. We’d booked tickets on line so avoided the queues. Our visit began with a thirty minute introduction which gave background to the Frank family, their move from Frankfurt to Amsterdam, the family business and life in occupied Netherlands. There was summary of life within the house once they were in hiding and the importance of Anne’s diary. This family information was shared alongside timelines of Hitler, rise of Nazism and their anti-Jewish measures. We then visited the actual house, the front part being the office, warehouse and storerooms where Otto Frank’s business was located. The upper floors of the “back house” was where Anne and seven others hid in this annexe for two years. 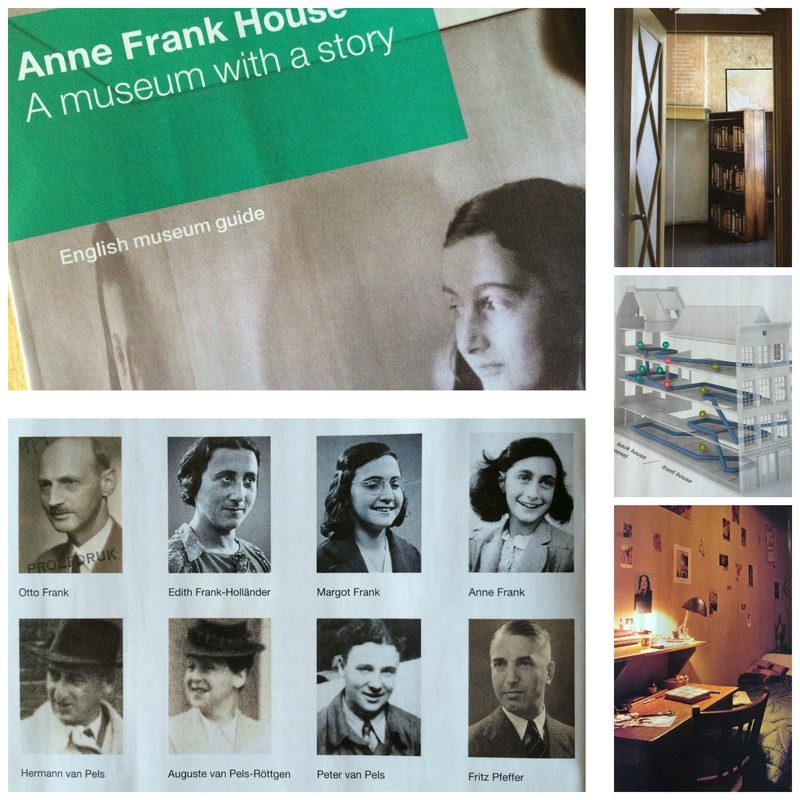 We walked through the rooms where they lived, we read excerpts of Anne’s diary, there was information about the Frank family, the other occupants and their helpers. There were short videos which added detail. Although the rooms were empty of furniture to allow visitor access, there were photos of how the rooms were furnished at the time. Back in the modern museum buildings there was information about the concentration camps, video interviews with people who knew Anne and family, how the diaries and family photo albums were saved. The actual diary notebooks are on display, and background of how Otto Frank published the diary in 1947 in the Netherlands and its global impact. It is a moving place and experience. C~M and I are both now reading Anne’s diary. It is incredible to read about daily life in those cramped conditions, without going outside, with windows blacked out, being quiet during the workday so they were not heard by warehouse staff. The Netherlands was occupied by Germany in May 1940. Maastricht was the first Dutch city to be liberated in September 1944. During the years of occupation, there were food shortages and rationing, the same for fuel and clothes. 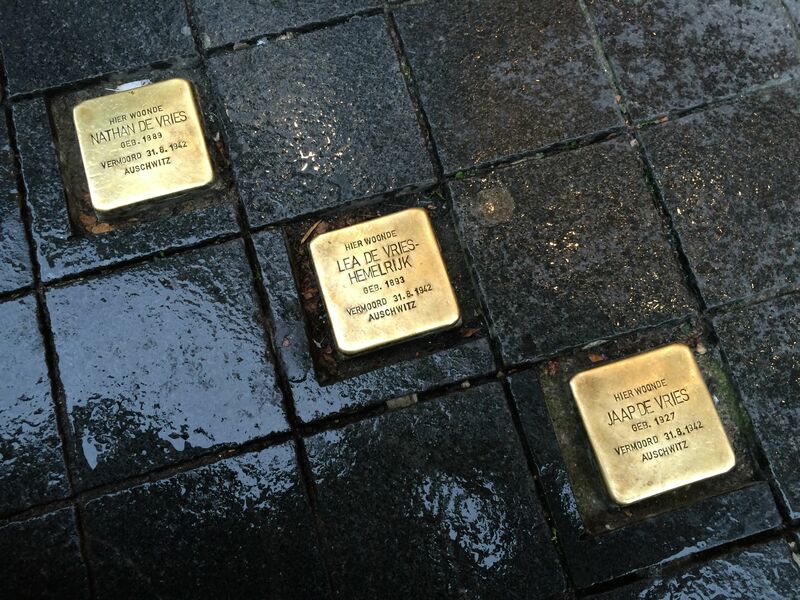 This is mentioned in Anne Frank’s diary but I also heard a bit about this from Dutch relatives. It was not only Jews who were taken from their homes, young Dutch men were forcibly sent to Germany to work on farms to support the war effort. Some escaped and made their way back home but then had to go into hiding themselves without any ID papers or ration books. 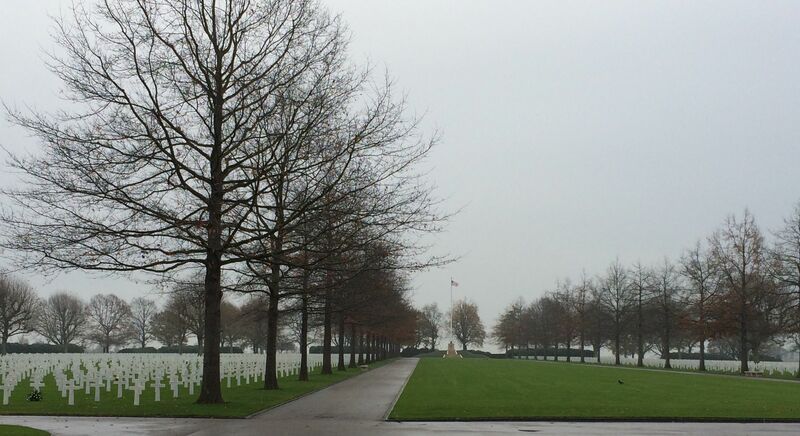 Margraten, a few miles from Maastricht, is the site of the Netherlands American Cemetery and Memorial. It is close to the Cologne – Boulogne Roman road, a route the German’s used for their occupation and again for their withdrawal. A US infantry division liberated this area and the cemetery was soon established here. 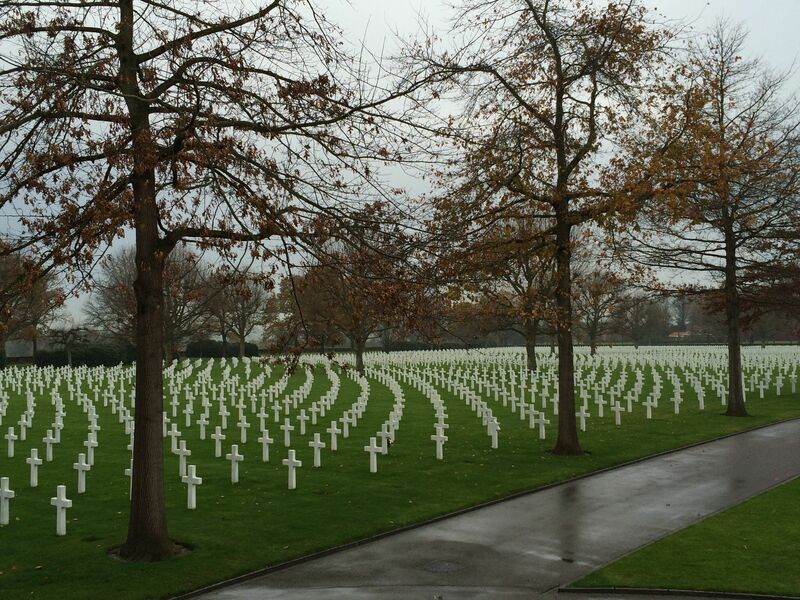 8,301 graves are laid out in long curves, each marked with a cross or star of David. The Court of Honour lists the names of a further 1,722 with unknown graves. 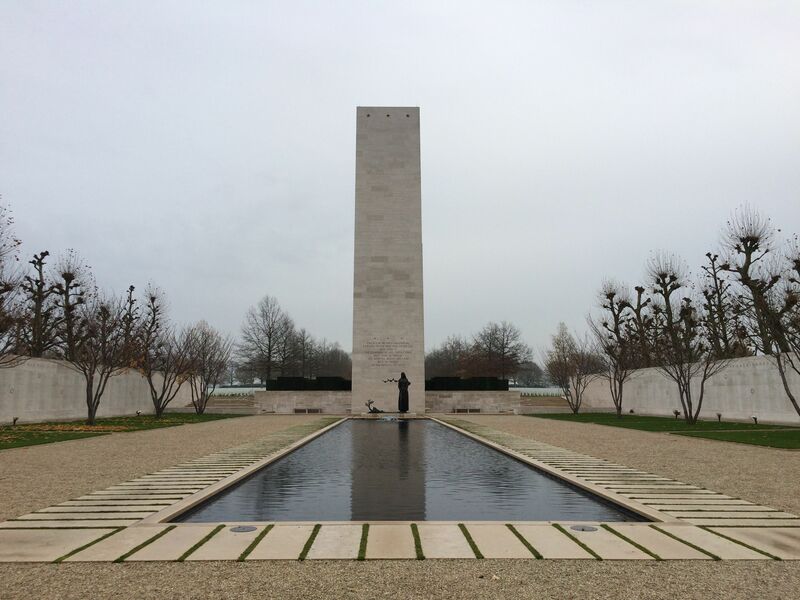 It is a vast site, beautifully maintained, similar to the British and Commonwealth cemeteries across Europe, just with different headstones. Some graves have no names, marked simply as “Known unto God”. 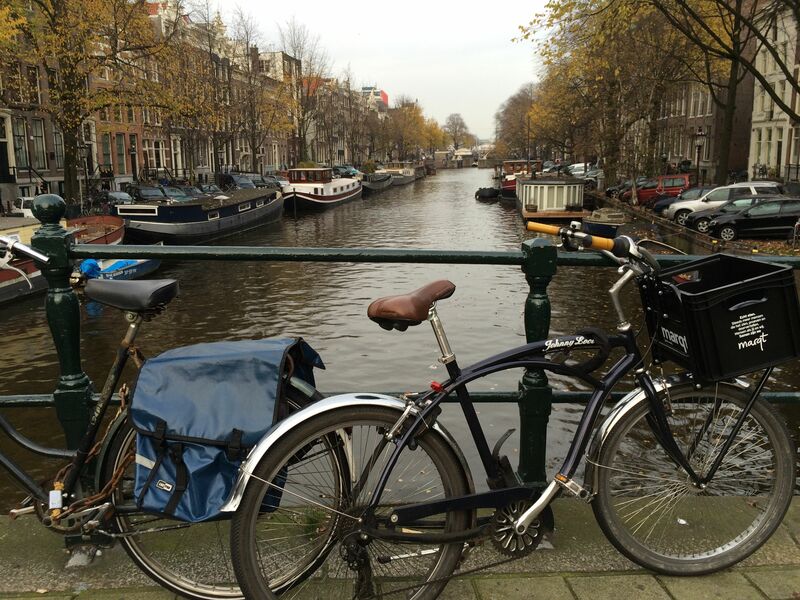 Netherlands – Amsterdam – bikes, canals and wonky buildings. We are just back from a mini break in The Netherlands, partly to meet up with relatives there and meet the new baby in the family. 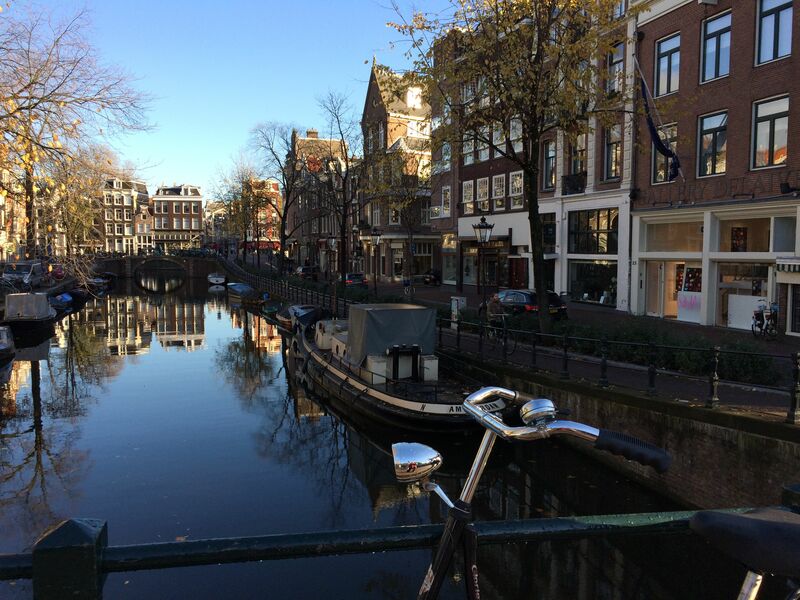 Amsterdam is a beautiful city, one of my favourites. 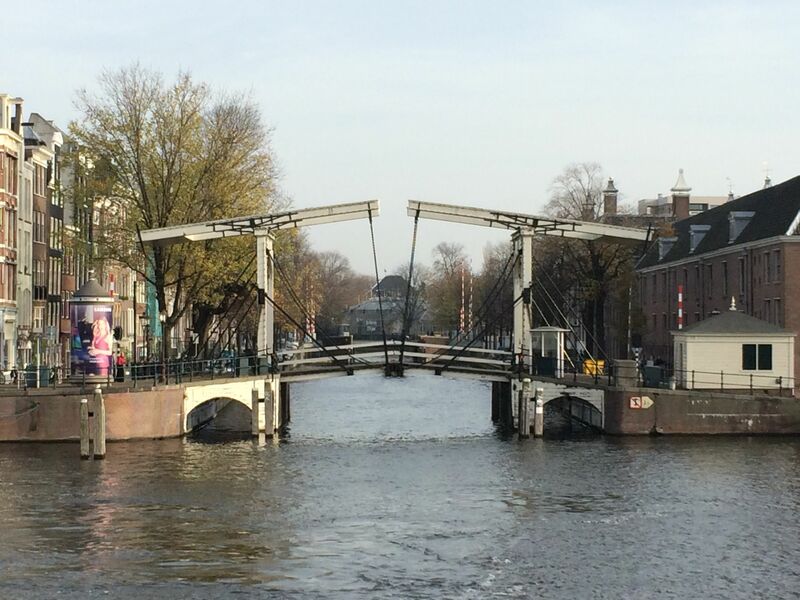 It is canals, wide streets, tall and often wonky buildings, museums, bridges, trams and bicycles. At this time of year, it is also Christmas decorations and festive lights. It is an easy place to explore on foot, so we did a lot of walking and sightseeing from street level. 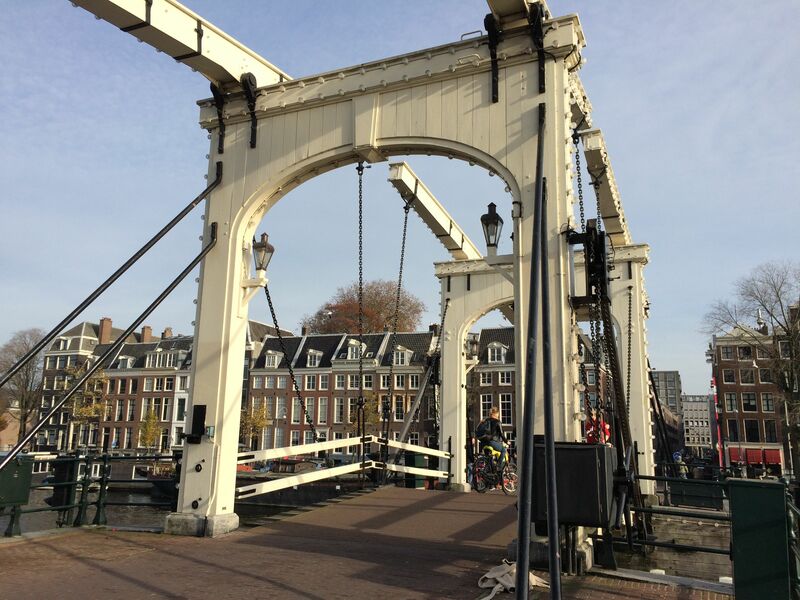 A canal tour gave a different, lower level view and provided the history of the city and some of it’s inhabitants. Trams run along the centre of main streets, also an efficient way to get around. The sheer number of cyclists and parked bicycles is always a surprise. Even though I know in my head that in Europe they drive on the opposite side of the road to the UK, I had to be extra careful when crossing the road. It felt as though bikes were coming from all directions. There seem to be very few accidents though, with traffic giving way to cyclists at junctions and roundabouts, and separate cycle traffic lights, alongside pedestrian lights. And no-one wears a cycle helmet. The architecture is enchanting. 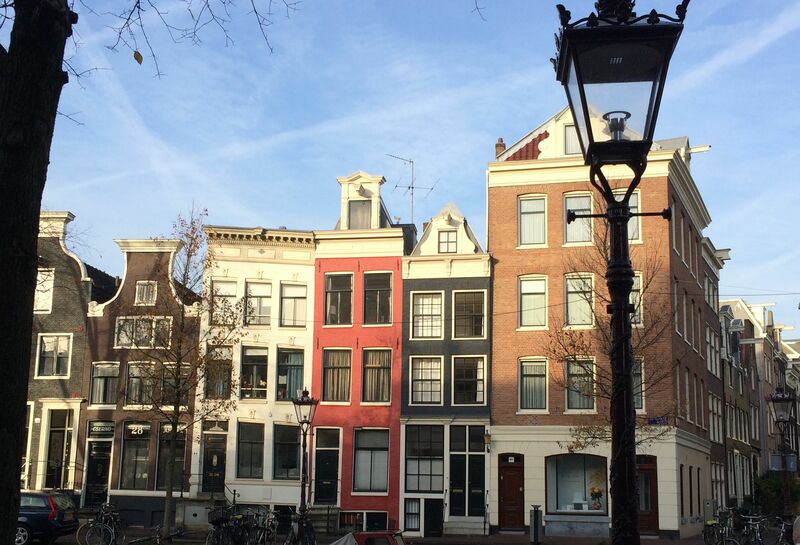 Tall narrow houses are packed together, but each one different. They all have gables with big hooks on them, with some specific designs, such as a stepped gable, or a bell gable. The houses lean out over the street but this is on purpose so that furniture lifted into the houses using the gable hooks, do not hit the walls of the lower floors. The windows do not line up from one house to it’s neighbour. 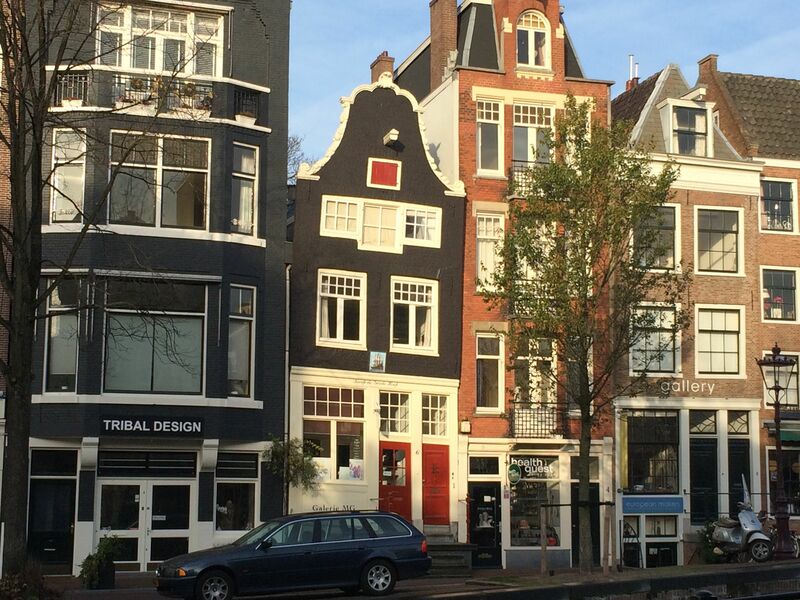 The rows of houses seem to be askew, crooked but this is the norm in Amsterdam. Dutch “coffee shops” were noticeable by the queues outside, by the aroma. It is accepted in NL to sell cannabis for personal use and to smoke it inside, even though it is illegal to smoke tobacco indoors. However, there were very subtle bouncers checking ID of tourists, to ensure legal age. It is a controlled business. We could not miss the “red light” area either with girls sitting in windows, literally framed by red lights. The drinking age is more lenient in NL compared to UK, beer glasses are smaller, with more foam than here but this seems to result in moderation and drink awareness. 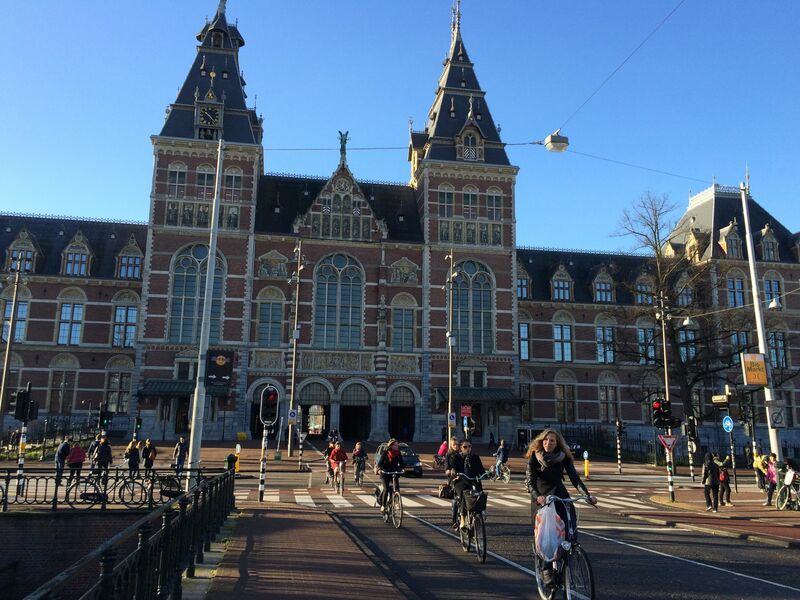 The Rijksmuseum is a grand building with a road running through it. The exhibitions are organised by date, with a mix of paintings, sculpture and art for each period. The interior is modern compared to the age of the building, to emphasise the art rather than the rooms themselves. 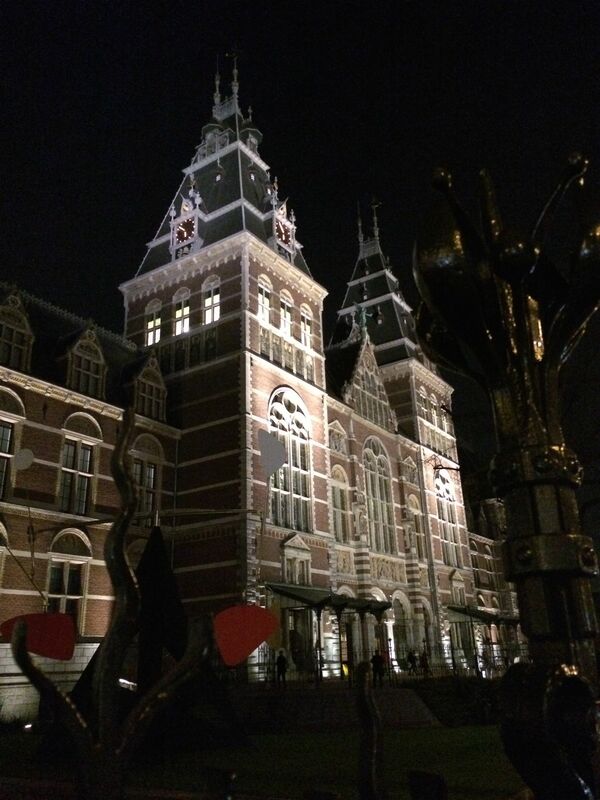 There are paintings by Rembrandt, Vermeer, Van Gogh, to name a few. There are numerous museums, churches, monuments, attractions, shopping streets, a wide variety of restaurants and bars. 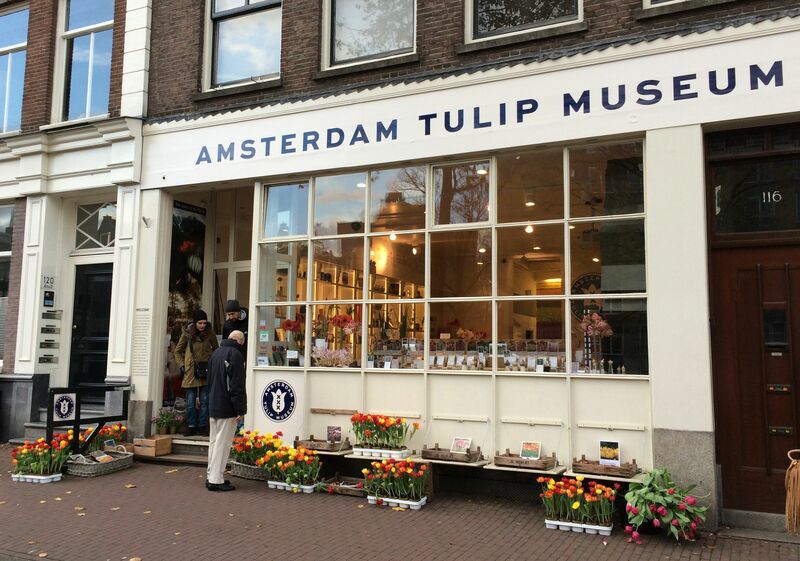 There are tourist shops, cheese shops and the flower market runs along Singel canal, with a multi-coloured array of tulips and bulbs for sale. I love travelling and experiencing other countries, other cultures, other cuisine. I don’t speak any other languages, just a few words of school French, so I am always very grateful when locals speak English, as they do in The Netherlands. 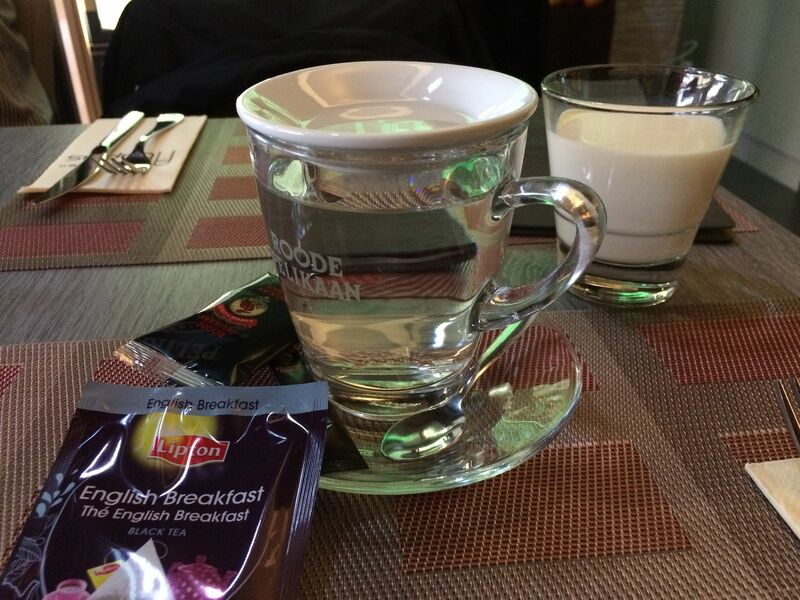 But there is one thing I need to start my day, wherever I am…..
“English tea with cold milk please”….. ok, almost there. Do it yourself English tea! 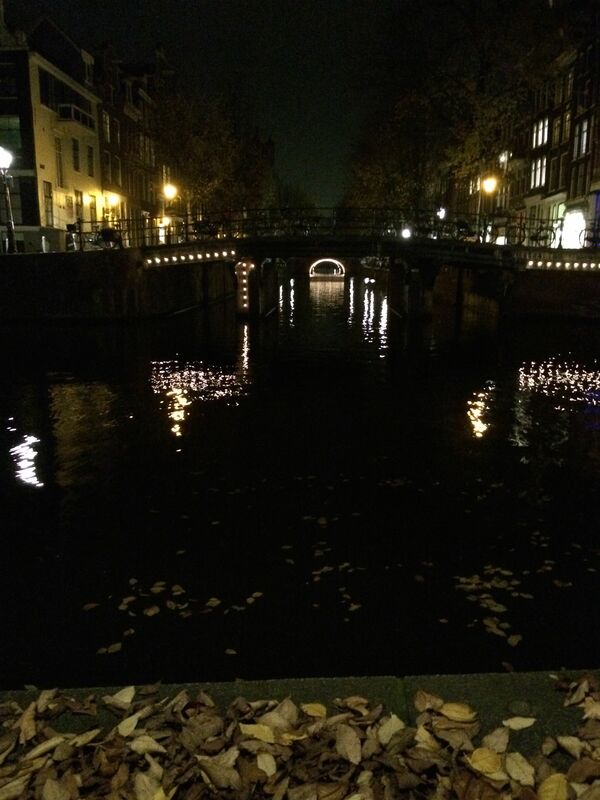 Amsterdam is a fascinating city in daylight and at night.